Born 1962 in Kanagawa, Japan. 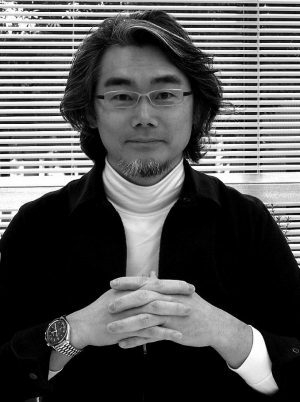 Graduated from the Department of Architecture in the Faculty of Fine Arts at the Tokyo University of the Arts in 1984. Completed a masterʼs degree at the Graduate School of Fine Arts at the Tokyo University of the Arts in 1986. Worked at Toyo Ito & Associates, Architects from 1988. Established aat + makoto yokomizo architects in 2001. Associate professor in the Department of Architecture in the Faculty of Fine Arts at the Tokyo University of the Arts from 2009. Professor since 2015. Awards include the Gold Award of the Tokyo Society of Architects & Building Engineers Residential Architecture Awards (2005), Prize of the Architectural Institute of Japan for Design (2006), Japan Institute of Architects Prize (2006), International Architecture Awards (2006), Gold Prize of the Trade and Industry Good Design Award (2007), and Award of Excellence for Residential Design of the Kanagawa Architecture Concours (2013).